Last week, my blog shared some key findings from the annual Cost of Dying report* published in 2018. It explained why more than half of people who have ever organised a funeral have thought about their own funeral… and why many of those people haven’t got round to doing anything about it yet! 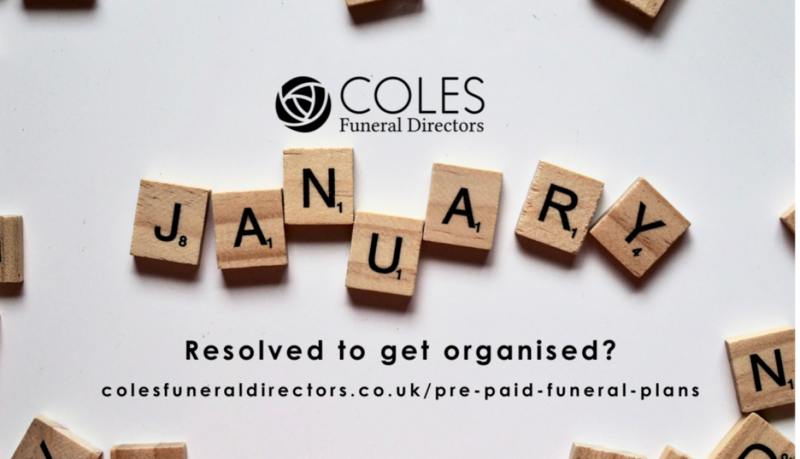 It seems that everyone I’ve spoken to so far this month has been talking about ‘getting organised’, and for many, this finally means sorting out legal and financial affairs… you know, the ‘stuff’ we all put off, like arranging life insurance, Wills and funeral plans! For some, the motivation to sort these important things out is to save money. But the main driver seems to be the ‘order of things’ and the ‘peace of mind’ that people are seeking for the year (and the years) ahead. We recently interviewed a sample of our customers who had been thinking about taking out a funeral plan, but ‘haven’t got round to it yet’… and it turns out that most people think it’s quite a complicated, ‘big ticket’ task. So I’d like to assure you this week that it really isn’t, and a Direct Cremation – which is one of our most popular plans – can cost you as little as £1713 (if you take the plan out before the next price rise on 31stMarch). It will take you about 30 seconds to fill in the form at the bottom of this blog, and after that, one of the team will be in touch to arrange a meeting where we discuss your final wishes and, if you want to go ahead, set up a payment plan that suits you. We can come to you, or you can pop into our funeral home in Heath or Rumney – or if you’d prefer, we can do it over the phone or by video call. Whilst you might find it difficult to talk to your family or friends about death and your funeral wishes, our team is friendly, patient and highly experienced – so we promise to put you at ease. So please don’t let a ‘lack of time’ or ‘fear of the unknown’ stop you or yours from taking out a funeral plan this year. We’re here to make it as easy as possible.